Travis Pike's Tea Party's 1967 recording "If I Didn't Love You Girl" is back on a "Mousetrap 45's — 28th Anniversary Single"
(PRLEAP.COM) MRch 20, 2019 - Travis Pike's Tea Party (previously "Travis Pike and the Boston Massacre"), left Massachusetts in the summer of 1968, shortly after their only recording, a 45rpm single of "If I Didn't Love You Girl" and "The Likes of You" was released by Boston-based Alma Records. The record never charted, and the band broke up in California in April, 1969, but in 1994, their recording of "If I Didn't Love You Girl" appeared on the "Sixties Rebellion Vol. 7 (The Backyard Patio)" LP compilation by Way Back Records (Germany). 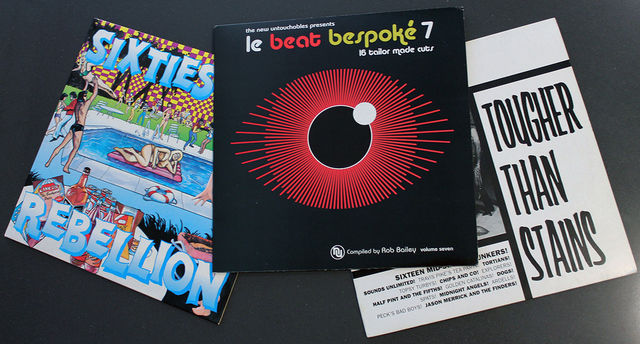 In 1995, the song was included in the London Fog vinyl LP compilation, "Tougher Than Stains," and most recently, in 2017, it appeared on the "Le Beat Bespoké 7" vinyl LP compilation released by Detour Records, and that original recording, thanks to U.K. DeeJay Rob Bailey, is now available on a vinyl 45rpm "Mousetrap 45's — 28th Anniversary Single." This is not the first time one of Pike's performances from more than a half-century ago had, according to music reviewer Lenny Helsing, in the Shindig! July 2017 issue #74 had "the '60s garage appreciation congregation all in a lather." Two of the eight original songs Travis performed in "Feelin' Good" in 1966, "Watch Out Woman" and "The Way That I Need You," were released by U.K.-based State Records on a vinyl 45 single in 2017, and emerged as the number three single in Shindig Magazine's Best of 2017 issue #74. That State Records release triggered a deluge of collectors' emails to Otherworld Cottage Industries asking when a re-issue of "If I Didn't Love You Girl" might be expected, and we can finally answer, NOW! 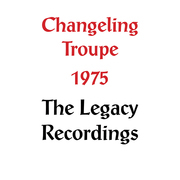 In response to that interest in Travis' early works, Otherworld Cottage Industries has released "Changeling Troupe 1975: The Legacy Recordings" through CDBaby, and its 16 titles are now on Youtube for all to hear. 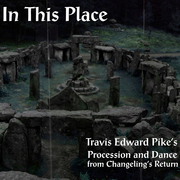 The Changeling Troupe recordings kept alive Pike's musical ambitions, and resulted in the 1987-88 recordings and screenplay for his widely anticipated, but still unfunded movie musical, "Morningstone," back in the news because Travis is currently adapting it into a novel he's titled "Changeling's Return." For more about Pike's early career, see his most recent book, "1964-1974, A Decade of Odd Tales and Wonders," that Lee Zimmerman, in his four-star review in the February 2019 issue of Goldmine magazine, called "a remarkable reservoir of craft and creativity," and Lenny Helsing called "a fascinating read" in his four-star review in Shindig magazine's best of 2018 issue # 87.